Burgess and Kubrick corresponded for some time about a possible film on the life of Napoleon. Though there was initially a possibility that they might collaborate, it quickly became clear that they had different ideas about the project and the idea stalled. 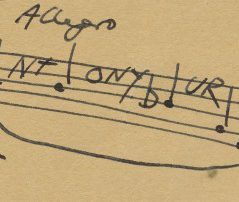 Burgess's work on Napoleon eventually emerged as Napoleon Symphony in 1974, while Kubrick's film was never made. Napoleon Symphony was published, a novel based on Burgess's work with Stanley Kubrick on a potential film about Napoleon. 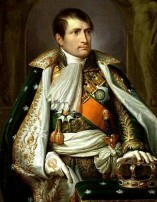 It is a complex and allusive text that reworks the facts of Napoleon's life into a narrative based on the structure of Beethoven's Eroica, and is the most Joycean of Burgess's novels. It was not well-received by critics. The Clockwork Testament, a third Enderby novel, appeared. In parts it operates as a kind-of sequel to A Clockwork Orange, or at least a sequel to Burgess's skirmishes with the media following the appearance of Kubrick's film in 1971. In the novel Enderby is accused of inciting violence against nuns because of a film version of one of his books, just as Burgess had been, and is forced to defend the moral basis of his work in a hostile television studio. Beard's Roman Women, a novel drawing on Burgess's own experience of bereavement, was published. Ronald Beard struggles to make sense of the women in his life - his possibly dead wife Leonora, and a living and exotic photographer called Paola - as they pursue him through a dream-like vision of Rome. Illustrated with photographs by David Robinson, this remains one of Burgess's most moving and comic novels. 'It's an imposture. Obvious. Elementary. Speed, and he used the keyhole for his entry. A Christian as he'd been a rationalist. In October Burgess published 1985, a mixture of a critique of 1984 by George Orwell in the form of interviews that Burgess conducts with himself, and a novel about the growing power of trade unions and the rise of Islam as a major cultural and political force in Britain. 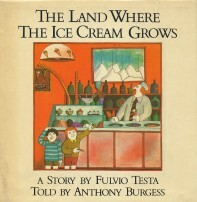 A second children's book, again illustrated by the artist Fulvio Testa, was published as The Land Where The Ice Cream Grows. It is a fantasy story about an airship expedition to a land where ice cream grows wild. It was much more successful than Burgess's previous work for children and remains in print in Germany and Japan. Based on a TV miniseries that Burgess wrote for Franco Zeferelli, Man Of Nazareth is a historical novel that tells the story of the life of Jesus. Unlike in the more conventional television version, Burgess's theology is unorthodox, including a marriage for Jesus to a Jewish girl named Sara, though his narrator is characteristically unreliable.